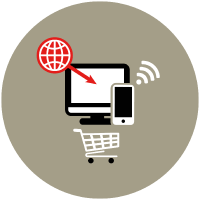 With a real passion for all things E-commerce, CVDigital offers a tailored E-commerce and Digital service for UK & International brands and agencies, as well as a quality bespoke service for all candidates. We have already built a quality candidate base through extensive referrals, networking and thorough screening. If you are looking to pursue or develop a career in all things digital, please contact digital@cvukgroup.com. We have found the CVUK Digital team particularly adept at sourcing high-quality candidates with relevant experience. Unlike some agencies, they focus on quality rather than quantity, which makes things easier from everyone’s perspective. They are also a pleasure to work with – always friendly and willing to help. CVDigital were always on hand for advice pre-interview and for follow-up post interview. When I was successfully placed with a company CVDigital were critical in negotiating a good contract for me and I would definitely recommend them as digital recruitment specialists, with a sound knowledge of the industry.